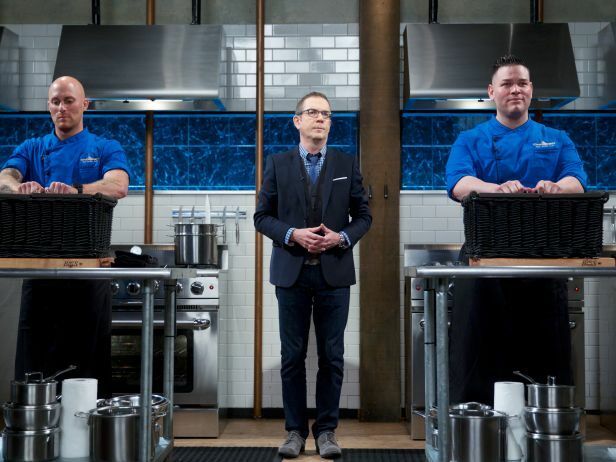 Confidence is a must for anybody who tries to go up against Bobby Flay, but there is such a thing as too much confidence — and several contestants went too far during tonight’s episode of Chopped: Beat Bobby Flay. If I really want to hear people throwing unnecessary shade, I’ll tune in for a new episode of The Real Housewives of Atlanta. A little smack talk is no big deal, but on a TV special such as Chopped: Beat Bobby Flay, the food should ultimately speak for itself. Unfortunately for tonight’s boastful contestants, that was not always the case. They had a few small successes, but also received a lot of critiques, including mistakes that I guarantee their rival Bobby Flay would not have made. For example: After boasting that his dish was the best (since the other contestants had barely any food on their plates), Bradley Stellings was accused of using too many potatoes, which according to one judge were not properly prepared. Instead of taking the critique in stride, Stellings made it clear that he disagreed. I was by no means the only person annoyed by the excessive bravado during the first round of competition on Chopped: Beat Bobby Flay. Several Twitter users expressed concern about the constants’ throwing of shade. I will concede this much: Part 1 winner Demetrio Zavala was actually able to back his overconfident language up with a few truly impressive creations. He has a history of aggression on Chopped, but he also knows what he’s doing. This makes him a truly formidable competitor. Will he be able to get into Flay’s head during the final showdown? My guess is no, but it will be interesting to see him try! 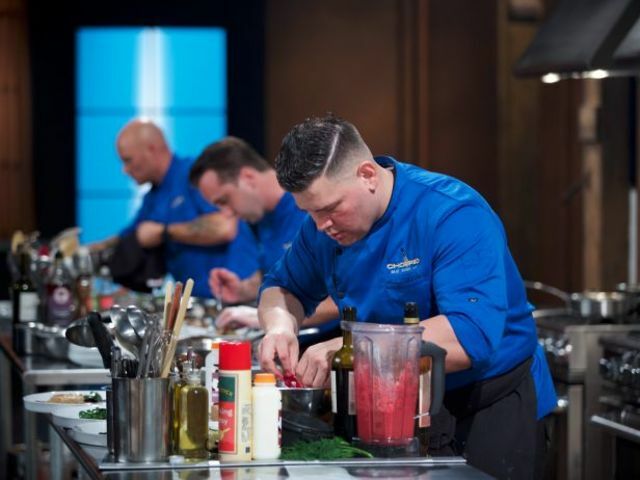 What did you think of the contestants on tonight’s premiere of Chopped: Beat Bobby Flay? Did you find their smack talk entertaining? Or annoying?